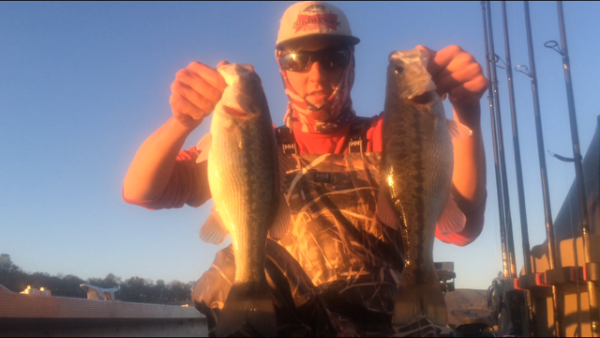 Josh Parris and I fished the final Future Pro Tour event at Oroville last Saturday. The bite proved to be tough but we managed to take 7th place with 8.52lb. 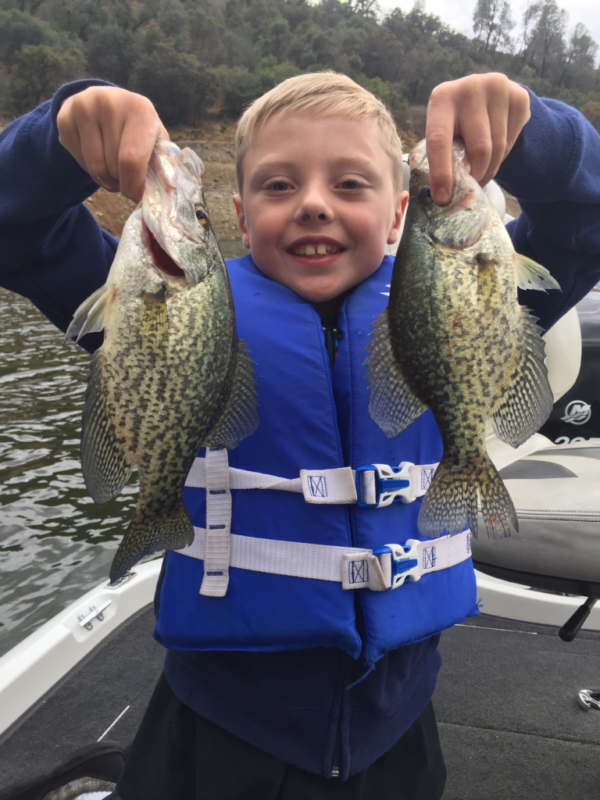 We had both spent lots of time pre-fishing and we got out on Friday before the tournament to put our patterns together. Here is how it went. During pre-fish the only true big Oroville fish we caught came from way up the south arm, so that’s where we decided to start. We ran all the up to the 5mph zone and began fishing the trees. We saw fish jumping and could see them on our graph but they were not biting for us. We fished trees for an hour with no luck. We eventually caught one small keeper and decided to leave the area. We started making our way back to the main body and hit a few little areas on the way which produced some small keepers. Most fish came on typical Oroville baits, Hula Grubs, Shaky Heads and Tubes ended up catching all the fish we weighed in. I also caught a few on a IMA Flit jerkbait in the Wakasagi color. At about 11am we decided to go fish Canyon Creek because we thought we could at least put together 7lbs of spots up there. We idled about 5mins past the fives and started fishing, once we got close to the back we realized that this area was loaded. I picked up a 4inch green pumpkin black flake Hula Grub on a 3/8ounce head and started catching fish almost every cast. I threw it on a Dobyns SS 703C and 10lb line. We were dragging these jigs from 10ft-50ft of water. A lot of the better bites came from deeper water. 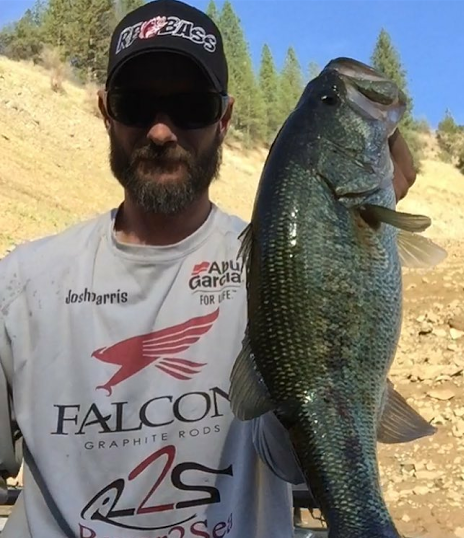 Every fish that we weighed in except one came from Canyon creek on a jig. After Canyon, we ran around a bit looking for that one better than average bite but never found it. The key for us was just to sit on the school we found and go through them till we got the slightly better fish. Most teams reported few topwater strikes if any and the winners said the key for them was locating largemouth. Other than that, it was a very finesse bite. Angler Press put on another great event, if you are new to bass fishing the Future Pro Tour is a great way to get started. Hope this helps- Nick Lynch.